1SO WHEN ARE YOU OPEN? 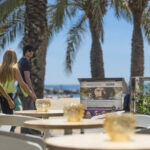 Icebarcelona is open nearly everyday of the year from 12pm (noon) to 3am. We are also closed whenever we change the design of the ice interior. This usually happens in April and October, but we’ll publish the exact days on our website and share the information on social media. 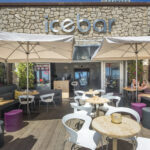 2HOW MUCH DOES THE ICEBAR EXPERIENCE COST AND WHAT IS INCLUDED? The entrance costs €17,50 (for adults) and includes a jacket, gloves and a drink, served in a glass made of ice, of course! You can choose your favorite from a list of 10 cocktails designed and prepared by our talented bartenders. Purchasing your tickets in advance in our website will get a special discount! 4DO YOU HAVE SPECIAL OFFERS FOR STUDENTS? Yes! From Monday to Wednesday students pay only €10 with one drink included. Offer is only available to students who can present us with a valid student ID card. Student tickets are for sale exclusively at the bar. 1SHALL I PROVIDE WARM CLOTHING? We provide each guest with a warm jacket and gloves to match, which are included in the price of your ticket. Zip up! 2WILL YOU HAVE A JACKET IN MY SIZE? Don’t worry. We offer jackets from S up to XXL and so far have never had an issue with sizing. 3WILL YOU ALSO BE PROVIDING SHOES? We do not provide shoes for hygienic reasons therefore we advise wearing warm or at least closed shoes. 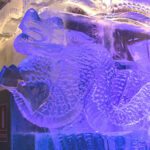 4WHAT KIND OF DRINKS CAN I ORDER IN ICEBAR? 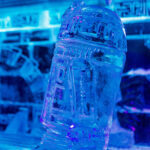 Alcoholic cocktails served inside the Ice Bar are especially prepared for freezing conditions. Due to the low temperature and logistical reasons, we do not serve drinks with gas, with the exception of beer. We also serve juices. Conventional cocktails are sold at the second bar on the terrace outside the ice lounge. 5CAN I ORDER THE DRINK INCLUDED WITH THE TICKET IN THE ‘WARM’ BAR? No, we’re sorry, but the ticket to the Ice Bar Experience only includes a drink served inside, in an ice glass. It cannot be ordered at the exterior bar. 2CAN I COME WITHOUT A RESERVATION? Reservations are not obligatory.However, we do recommend that you make a reservation when visiting with groups larger than 5 people. We’re popular! Which means the entire summer and weekends we tend to be pretty busy. 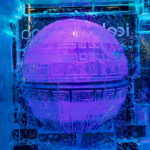 If you choose to visit us without a prior reservation you may have to wait a little before entering the ice lounge. 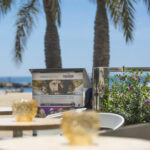 But don’t worry, our terrace features a stunning beach view and will comfortably accommodate you while you wait! 3CAN I ADD MORE PEOPLE TO MY BOOKING? 4DO I NEED TO PRINT MY BOOKING? We do recommend bringing a confirmation, at least on your mobile phone if you prefer this option. 5IS THE RESERVATION TIME STRICT? Due to organizational reasons, we kindly request our guests arrive on time. If for any reason you cannot make it to your appointment, please let us know as soon as possible and we will do our best to adjust your booking. Be reminded however, that we do not refund unused tickets. 6MY BOOKING HAS NOT ARRIVED TO MY EMAIL. WHAT HAPPENED? In case you do not receive an email confirmation with your booking details, two things may have happened: either the email is in your Spam folder or for some reason the payment was not processed correctly. This can occur with some foreign credit cards. In this case, give us as call or text us at +34 645 851 691 (in bussiness hours) and we’ll sort you out. 1CAN I CELEBRATE MY BIRTHDAY IN ICEBAR? 2WHAT OTHER SPECIAL OFFERS DO YOU HAVE? 3HOW DO I BOOK A SPECIAL OFFER PACK?